Coastal Scents is a makeup and beauty brand owned by K-Plex LLC, with demographics of teenage girls to mid thirty-year-old woman. 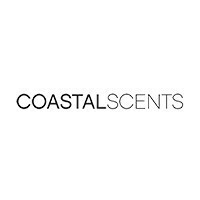 By providing more than 800 affordable beauty products, Coastal Scents is able to provide a complete selection, from eye shadows, mascara and blushes to concealers, makeup brushes, lipsticks & more.Customer suggestions are welcome, we are geared to accommodating a priority customer demand. We believe in excellency; achieving our goals to serve you better in every way. Therefore, only exclusive five star rated coupons are updated on our website. Together, let us create a redefined shopping affair. All icons and information on this website is the sole property of FiveStarCoupon. Third parties hold the rights to the trademarks and logos of their brands. All Rights Reserved.